Raffaello Sanzio da Urbino, better known simply as Raphael, was an Italian painter, draftsman, and architect of the High Renaissance. 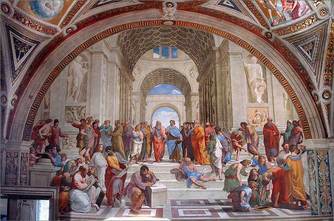 Raphael’s paintings are prime examples of the High Renaissance style. He is most famous for his frescoes in the Stanze Rooms of the Vatican Palace and for his Madonna and child paintings. 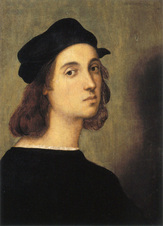 Raphael produced a large body of work despite his early death at age 37. Edvard Munch, pronounced "Monk", completed many paintings, drawings, and prints. 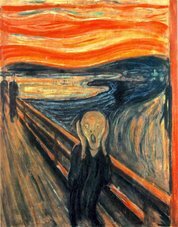 He is most famous, however, for his painting, The Scream, of which he did four versions. The Scream is one of the most recognized paintings today. Munch believed that a painter shouldn’t simply duplicate a scene but should record the emotion the painter feels. 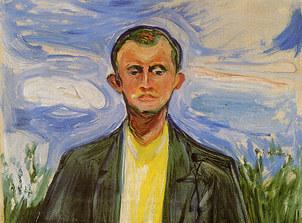 The way Munch portrayed emotion in his artwork was a shift from the art tradition of his time. He is credited with beginning the expressionist movement. 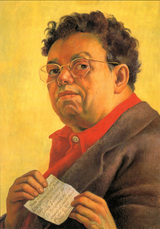 Diego Rivera is considered to be the greatest Mexican painter of the twentieth century. He had a big effect on the international art world and is one of the world's most famous muralists.Rivera was part of the Mexican Mural Movement. He reintroduced fresco painting into modern art and architecture. 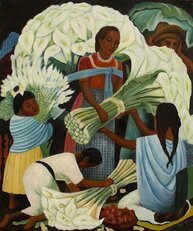 Rivera wanted to show the lives of the Mexican people in his art. Most of his large, colorful murals are painted on walls of public buildings. He was married to artist Freida Kahlo. 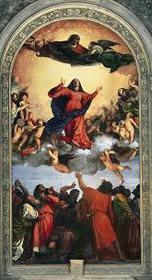 Tiziano Vecelli, known as Titian, was a great artist of the sixteenth century during the Renaissance. 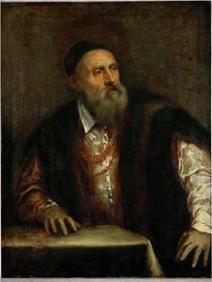 Titian was the leading artist of Venice. Titian is known above all for his remarkable use of color and his painterly methods which influenced not only other Italian Renaissance painters but future artists. Titian was equally skilled at portraits, landscape backgrounds, religious subjects, and mythological works. 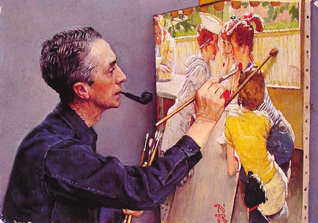 Week 14 - Norman Rockwell (1894 - 1978) U.S.A.
Norman Rockwell was a painter and illustrator who was very popular. He produced over 4,000 works and was most famous for his Saturday Evening Post covers. 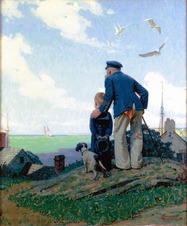 Many of his paintings portray American life in an affectionate manner. He painted many pictures for the Boy Scouts of America and painted portraits for Presidents. His series, The Four Freedoms, was inspired by a Franklin Roosevelt speech. Rockwell was awarded the Presidential Medal of Freedom. Rockwell's paintings are still loved today for the way they portray common joys and sorrows of everyday life. Kyriakos (Domenikos) Theotokopoulos was born on the island of Crete off the coast of Greece, but he spent most of his life in Spain. He is known to all by his Spanish name, El Greco – which means “the Greek”. El Greco was a painter, sculptor, and architect. He was influenced by Italian Mannerism, and his elongated figures, settings, and landscapes exhibit a spirtual and emotional effect. 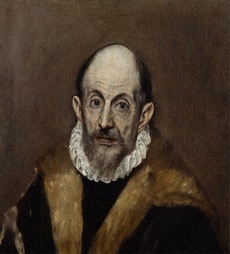 El Greco is most famous for his religious paintings, but he also painted portraits of his patrons and friends. He is recognized as one of the great geniuses of Western art. 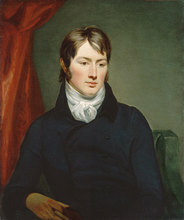 John Constable was an English Romantic painter. He is known primarily for his landscapes, most of which are of the countryside near his home in the Suffolk area. Constable believed no two leaves ever looked alike and no setting ever looked quite the same from one moment to another. He loved painting the rural scenes of England. 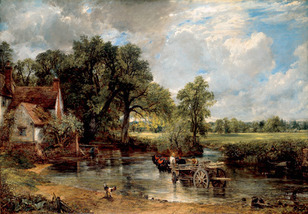 Constable's paintings are now among some of the most popular and valuable in British art. Currier and Ives was a successful American printmaking firm based in New York City headed by Nathaniel Currier and James Merritt Ives. The business produced prints from paintings by fine artists as black and white lithographs that were then hand colored. 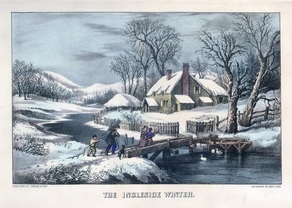 Currier and Ives winter scenes were popular for Christmas. Thomas Nast was a American political cartoonist in the mid-1800’s. He became famous for creating some of the earliest drawings of what Santa might look like. 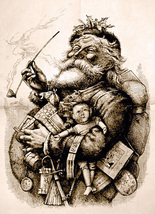 Nast did the illustrations for A Visit from St. Nicholas (also called Twas the Night Before Christmas) by Clements which became a very popular poem. 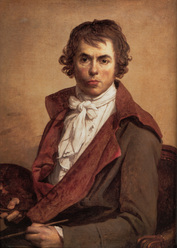 Jacques-Louis David was a 19th century painter from France who developed a style of painting known as the Neoclassical style. Although mainly a painter of historical events, David was also a great portraitist. 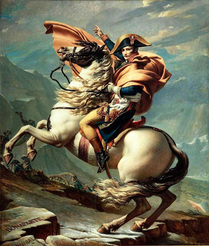 He painted in the service of royalty, revolutionaries, and an emperor - Napoleon.